Now you see it; now you don’t. That’s the neat vanishing act performed on even the largest trailers by an impressive new camera setup from Valeo. The XtraVue Trailer kit is on display right now at CES. 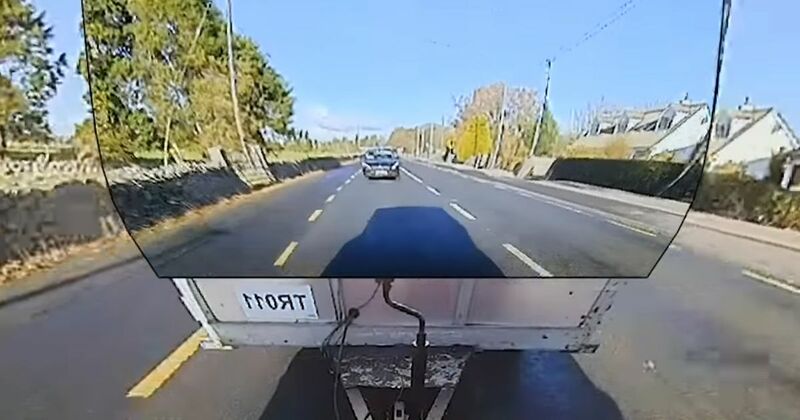 It places a camera on the back of the trailer or caravan and then inlays its visuals over the main rear-view camera output from the car itself. It creates a sort of screen-within-a-screen effect that gives a rearward view as clear as if you weren’t towing anything at all. This dual-view output is aligned as closely as can be to minimise blind spots and the results are pretty effective in normal driving. A separate screen functions as a rear-view mirror with the car’s rear camera view framing that of the trailer camera. The two are neatly bordered at the edge of the trailer itself. Not only will this make it much easier to see what’s following you when your conventional mirror views are blocked, but it will also make reversing about 100 times safer. The two images won’t align mid-manoeuvre, but drivers can still see clearly what’s behind the trailer. For now the bulky screen makes this prototype a bit difficult to imagine in your own car or truck, but the drawback of wide-angle cameras is that you need a big screen or else everything will look too tiny to discern any detail. We’re keen to see where Valeo goes with this, but a neater in-car integration is surely on the cards.